With TotalCom, You Have Total Peace of Mind. Is Your Commercial Space Safe? Your Business deserves high-quality protection. 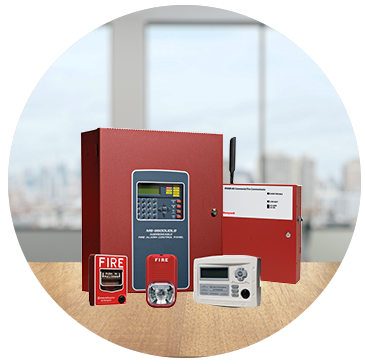 From Fire to Intrusion, TotalCom has you covered. Your Business deserves high-quality protection. From Fire to Intrusion, TotalCom has you covered. between you and the safety of you, your family, or business. We’re here to help. 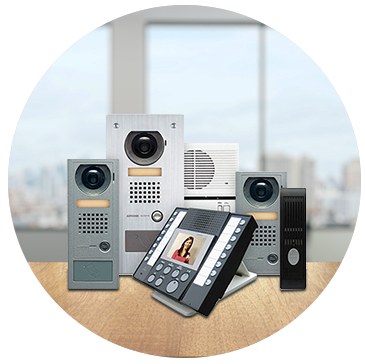 Security and communication solutions can be complex, but don’t let not knowing stand between you and the safety of you, your family, or business. We’re here to help. Don’t wait, take the first step in securing your home or business. Call us today for your free, no obligation assessment: 210-366-1116 or fill out our call back form and we’ll get back to you ASAP. Control your home and you control your life. 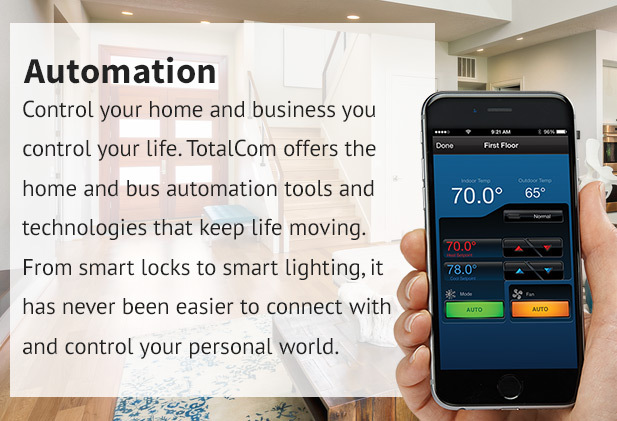 TotalCom offers the home automation tools and technologies that keep life moving. From smart locks to smart lighting, it has never been easier to connect with and control your personal world. Businesses face tremendous challenges but security does not have to be one of them. 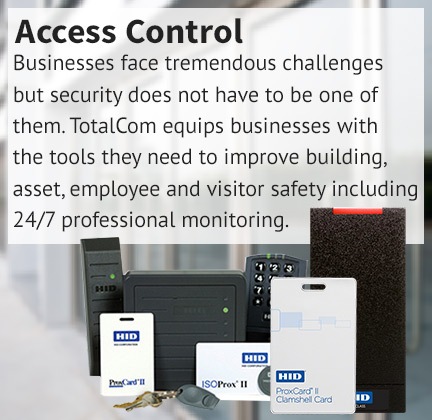 TotalCom equips businesses with the tools they need to improve building, asset, employee and visitor safety, including intrusion detection, alarm communications, asset protection, and 24/7 professional monitoring. Keep an eye on it. 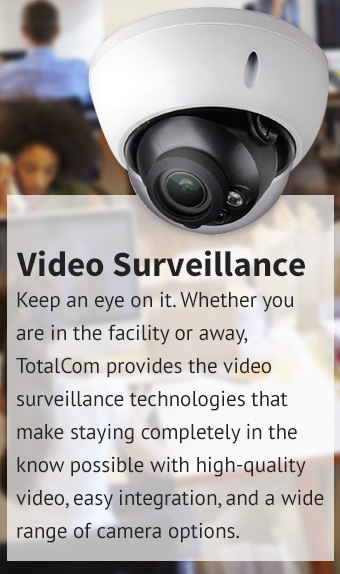 Whether you are in the facility or away, TotalCom provides the video surveillance technologies that make staying completely in the know possible with high-quality video, easy integration, and a wide range of camera options. Ensure quicker emergency response with professional monitoring. 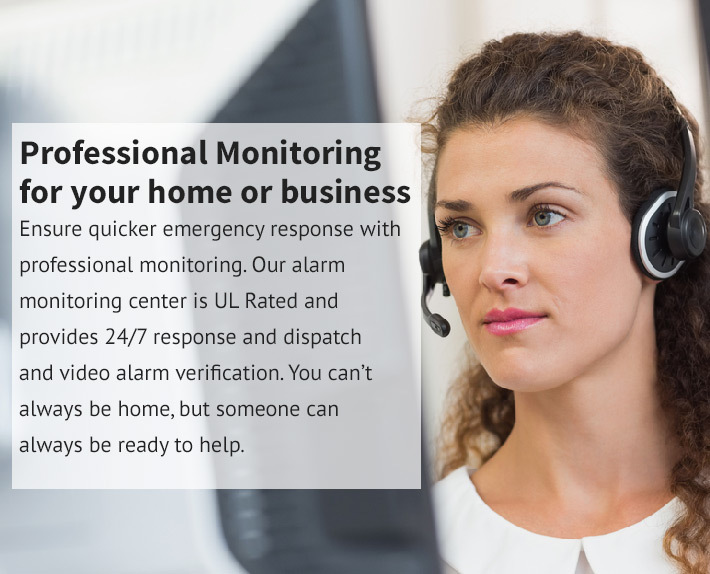 Our alarm monitoring center is UL Rated and provides 24/7 response and dispatch and video alarm verification. You can’t always be home, but someone can always be ready to help. For more than a decade, we’ve made it our credo to translate ideas for better security into integrated, practical solutions. Whether for infrastructure or backbone cable, fire systems, security systems, access control systems, telephone systems, or UL local monitoring of your security, our project management skills and technical knowledge come together for one reason – solving your security needs. 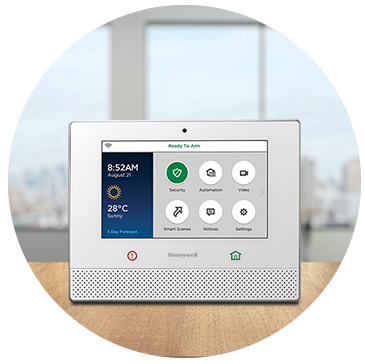 Honeywell is one of the most trusted names in security and automation, offering scalable residential and commercial solutions. 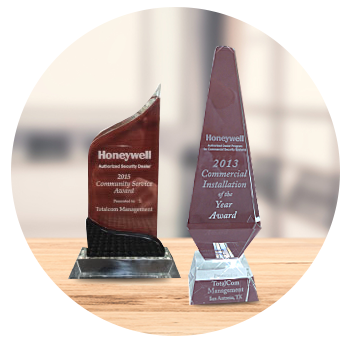 Honeywell products are designed to work together seamlessly and provide a smarter solution. 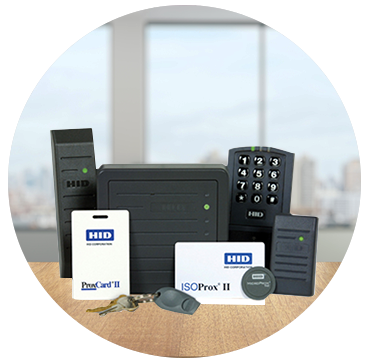 HID Global is the trusted leader in products and solutions related to securing identities, access control and more. Protect your assets, control access, and improve your safety structure with HID’s cutting-edge technologies. Conventional fire alarm control panels bring the latest in microprocessor technology to conventional fire controls and are easy-to install, program and operate that meet a wide range of needs, while offering superior value and flexibility. 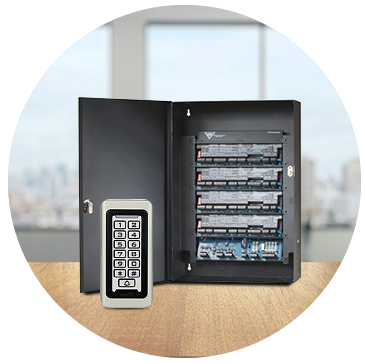 DSX Access Control System is full featured Client Server application that leverages the power of Windows™ 32 and 64 bit operating systems and mobile phone technology.